Gwalior has highest rates, followed by Sagar and then Ujjain for all 15 years. The delta between the minimum and maximum rates are also highest for Gwalior (Rs. 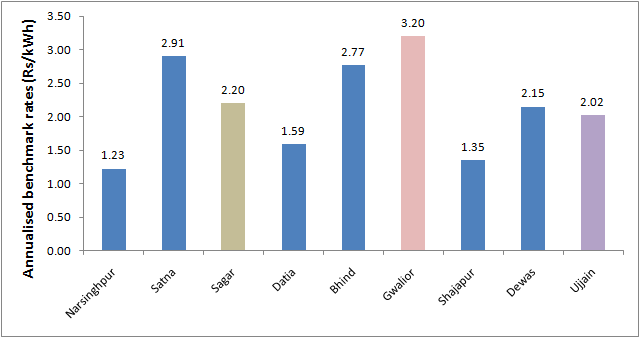 1.07), followed by Sagar (Rs. 0.45) and then Ujjain (Rs. 0.27). 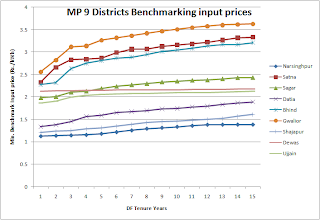 The annualised input rates calculated from above benchmarking prices at 10.74% discount factor is shown below. 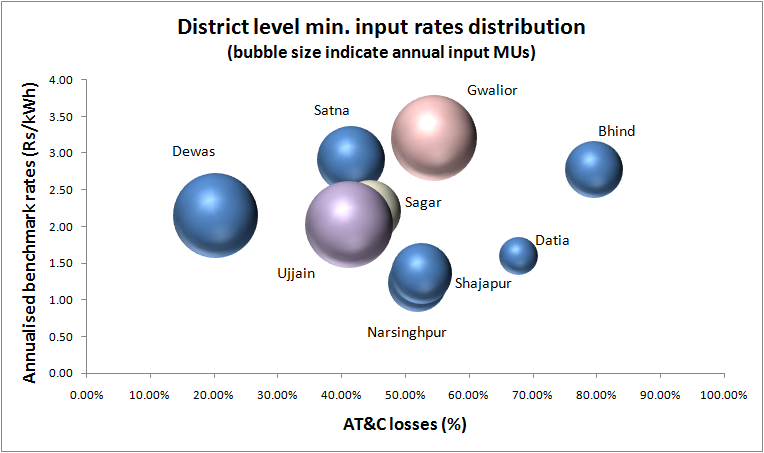 A bubble chart indicating the ATC losses (cost), annualised input rates (price) and annual input energy quantum (quantity) is shown below. 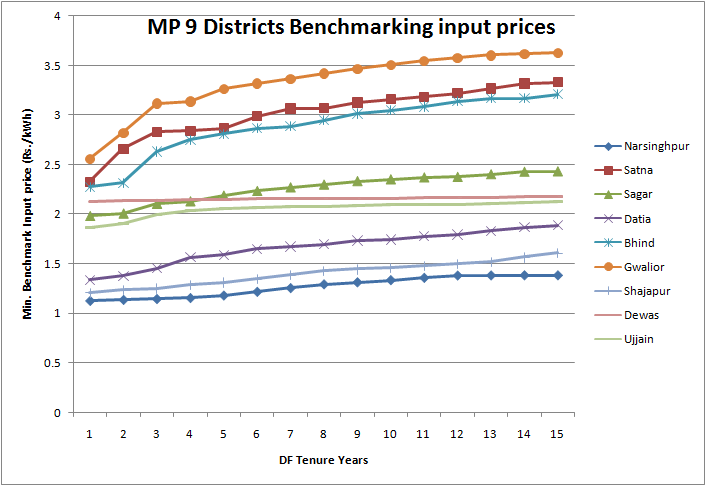 Above trends will be useful for bidders to come with right initial estimates for bid prices under new revised town level RFPs for Gwalior, Ujjain and Sagar.